More than 50 mm of rain could fall on southern N.B. A rainfall warning has been issued for the southern coast of the province, where up to 50 mm of rain is expected. 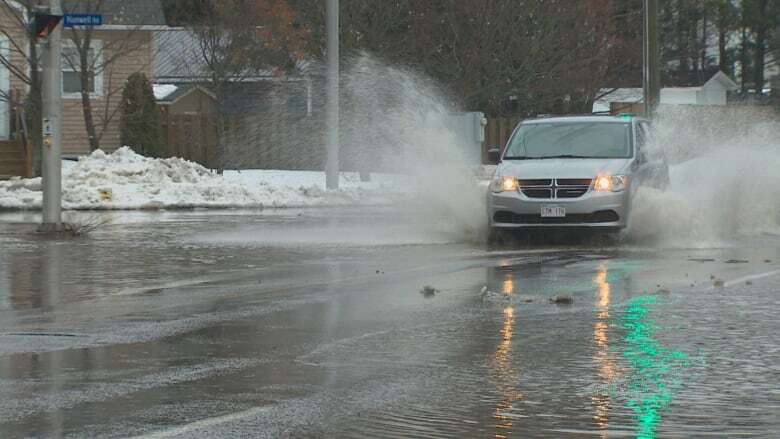 Environment Canada has issued a rainfall warning for the southern coast of the province, which could see more than 50 millimetres of rain this week. Rainfall warnings are expected in the Saint John area, Fundy National Park, Grand Manan and coastal Charlotte County on Tuesday night into Wednesday morning. "Rain will become heavy at times this evening and taper off in the early morning hours on Wednesday," Environment Canada said in a statement. A special weather statement has been issued for the southern half of the province. Environment Canada said a low pressure system headed toward the Maritimes is expected to bring two periods of heavier rain in the next two days. Although the rain is expected to diminish Tuesday afternoon, a second band of rain will move in overnight. Environment Canada said the heavy downpour could cause flash flooding and water pooling on roads. "If visibility is reduced while driving, slow down, watch for taillights ahead and be prepared to stop." The weather agency said there is still some uncertainty as to where the heaviest rain will occur, and rainfall warnings could be expanded to other areas during the day.